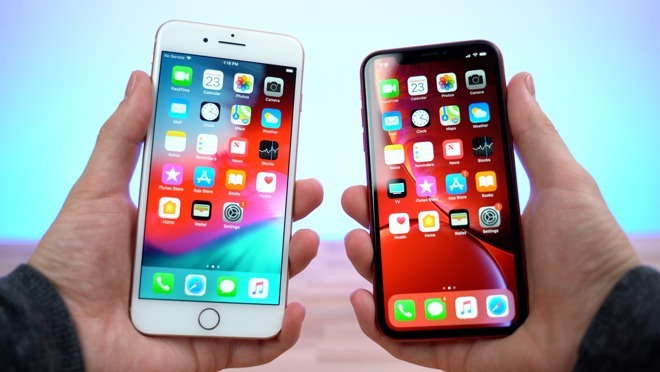 At 6.1 inches, the iPhone XR's display is technically larger than the iPhone 8 Plus' 5.5-inch display when measured diagonally, but looking at them side by side, there isn't that much of a difference in actual screen space. The iPhone XR's taller aspect ratio shows more info in apps like Facebook and Instagram, social media that offers a long feed to scroll down. 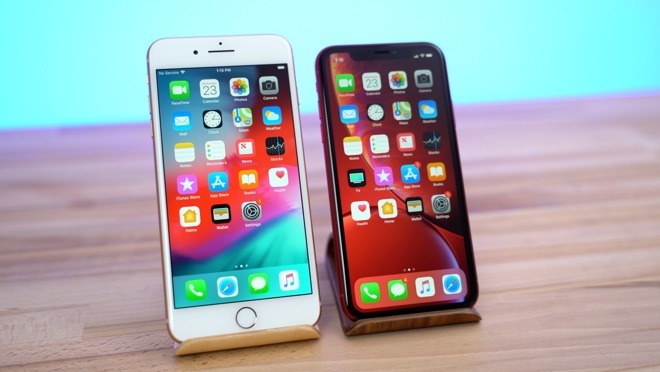 The iPhone XR is actually a good amount smaller than the iPhone 8 Plus thanks to the removal of the home button and the addition of the notch, which makes a huge difference in how comfortable it feels in your hand. 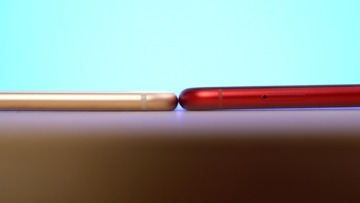 The iPhone XR is marginally thicker than the iPhone 8 Plus, but you really have to look closely to see the difference. 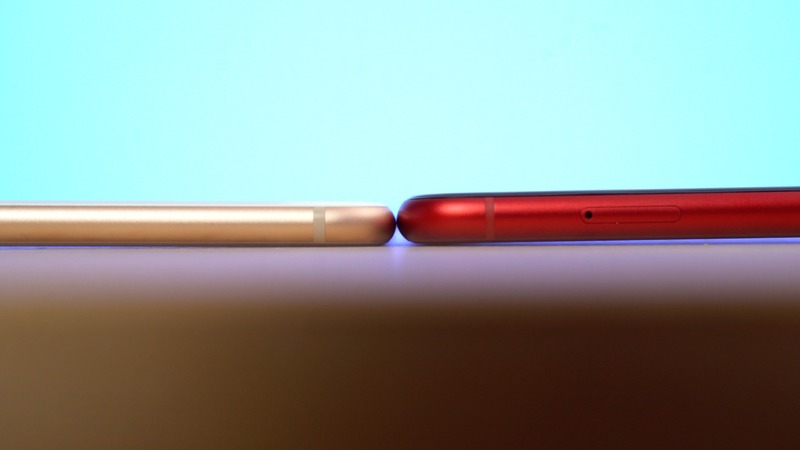 Of course, that notch will take some time to get used to, but after a while, you get used to its presence. Something that's often overlooked is the sleep/wake button on the side is effectively twice as large on the iPhone XR, and you'll really feel that difference if you're coming from the 8 Plus, which also had that button located much higher on the enclosure. One difference that I absolutely love is tap-to-wake, and I'm pretty confident you'll love it too after you get used to it. While writing this article, I found myself trying to tap the 8 Plus' display to try to wake it. 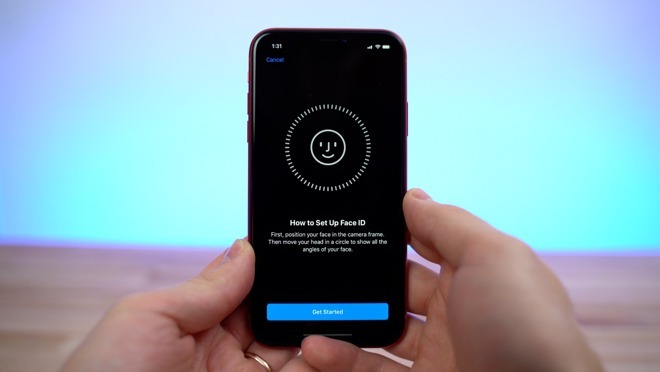 The iPhone XR's Face ID authentication will take some time to get used to, especially if you're used to Touch ID. With my old iPhone 8 Plus, I was able to use Touch ID while my iPhone was laying on the desk to unlock it and check my messages. You can't do that anymore with Face ID, and that's the only scenario where it can get a little annoying. Overall, once you get used to using Face ID, you won't ever want to go back. One thing I loved about Touch ID is that you could register multiple fingerprints. At launch, the worst part about the iPhone X was that you could only register one face at a time, but with iOS 12 you can now register two faces using Face ID. 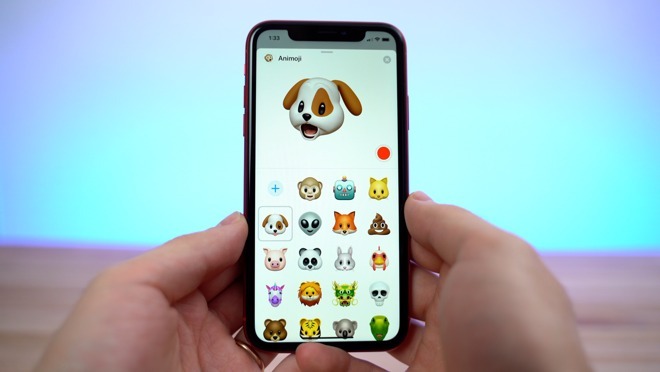 You also get to use the new Animoji and Memoji features on the XR, but in my experience, they're just gimmicks. I've only used those features once or twice since I got my iPhone XS Max, so I don't factor them into my purchasing decisions, but this all depends on how much you use your phone for iMessage. 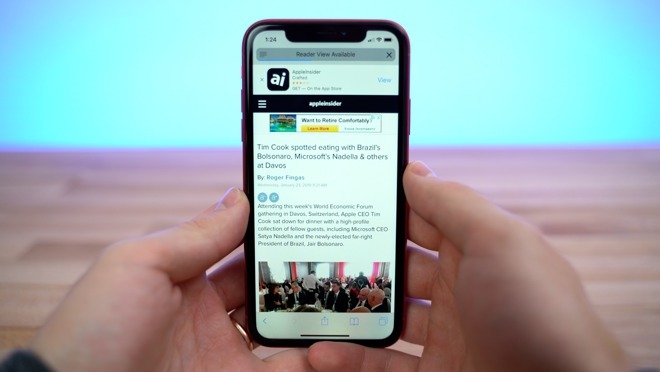 The app switcher is now a gesture rather than a home button interaction, necessitating a prolonged swipe-and-hold motion upwards from the bottom of the iPhone XR's display. It'll definitely take some time to get used to, but after a while it does become second nature. The XR gets the new home bar, and my favorite part about it is that you can easily swipe left and right to switch between apps, so I honestly don't really use the app switcher anymore. One thing the XR lacks is Force Touch, and this is one of the things you might miss the most. You simply don't get as many options anymore with Haptic Touch, and it's slower to use. The biggest downside to the iPhone XR is the LCD display, which isn't quite as high resolution as the iPhone X, iPhone XS, and iPhone XS Max. However, if you're coming from an older iPhone with an LCD display, you'll never really see the difference. 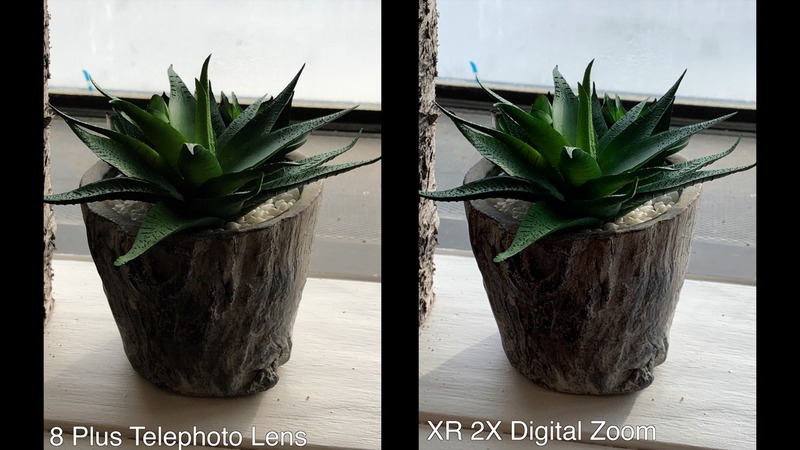 When it comes to display sharpness, the iPhone 8 Plus seems better with 401 pixels per inch compared to 326ppi on the XR, but again it's a difference you may not notice unless you try looking for it. 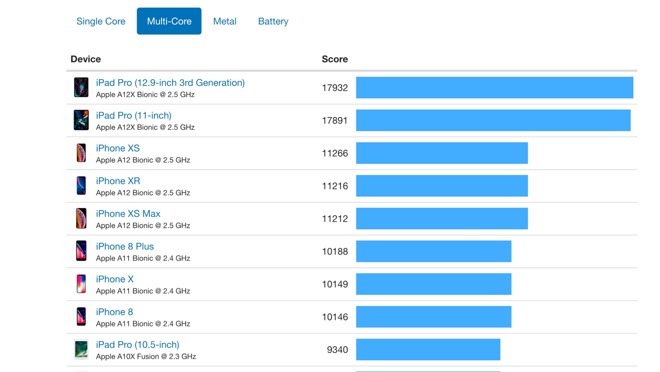 For performance, the iPhone XR's A12 Bionic processor definitely scores higher in benchmarks compared to the A11 Bionic in the iPhone 8 Plus. In everyday use, either processor is more than enough for a user's needs. However, some apps or games run better on the XR, such as Fortnite, which can run at 60 frames per second on the XR, making a huge difference in terms of gaming experience. Where the extra performance really makes a difference is in the camera. 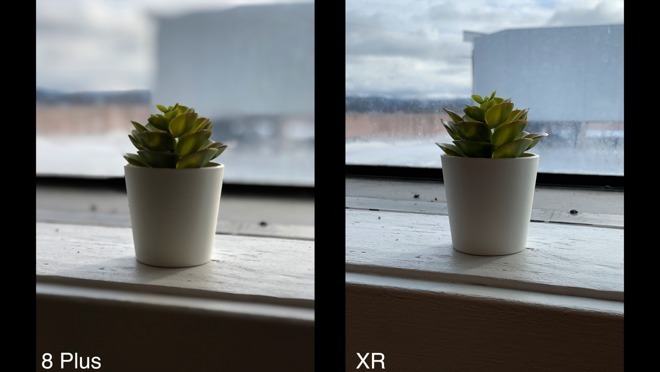 Along with upgraded sensors, the extra power gives the iPhone XR the new Smart HDR feature, which greatly increases dynamic range in both photos and video. Not only that, but there's so much more detail as well. One thing to note is that a lot of 2018 iPhone users are complaining about a lack of contrast and smooth-looking skin in their photos which comes thanks to Smart HDR. Adding some contrast back in with a little bit of editing can easily fix those issues and make for some incredibly good-looking photos. A downside with the iPhone XR is that it only has one camera lens, so you can lose some detail when zooming in too far. Plus, you can't take Portrait photos of objects with the rear camera like you can on the 8 Plus, only of humans. 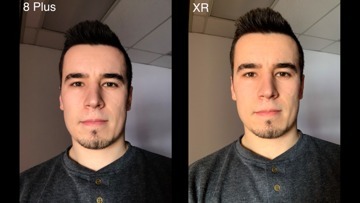 With the XR, you can now take Portrait shots with the front camera, and this really does make selfies look so much better compared to the iPhone 8 Plus. Overall, there's a huge difference in terms of camera quality. 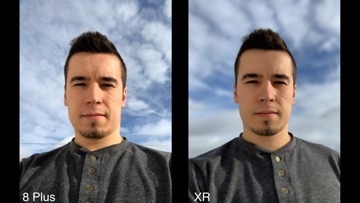 The XR's camera is just so much better. Lastly, battery life, likely the most noticeable difference coming from the iPhone 8 Plus, and an even bigger change when moving from the smaller iPhone 8. With the XR, your battery will actually last all day with regular use. Both the iPhone 8 and iPhone XR have wireless charging, so if you're worried about battery life, a Qi charger on your desk is inexpensive and worth it. 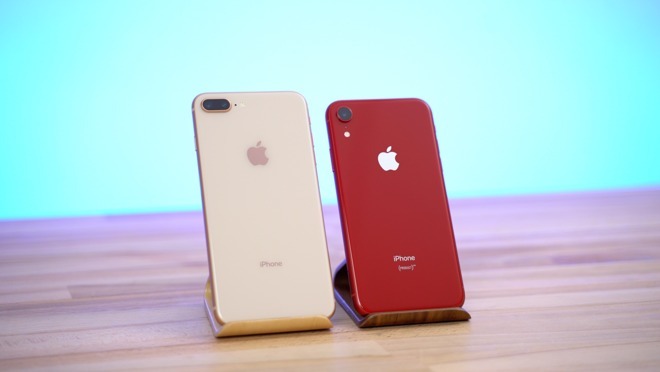 If you haven't already ordered Apple's iPhone XR or iPhone 8 Plus, wireless carriers and eBay sellers are incentivizing the purchase with instant savings and buy one, get one offers. 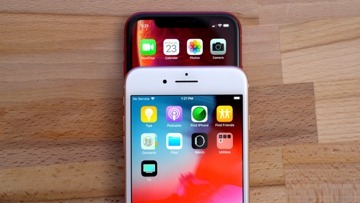 AT&T Wireless: Buy one iPhone XR or iPhone 8 Plus, get one free when you buy both on AT&T Next. 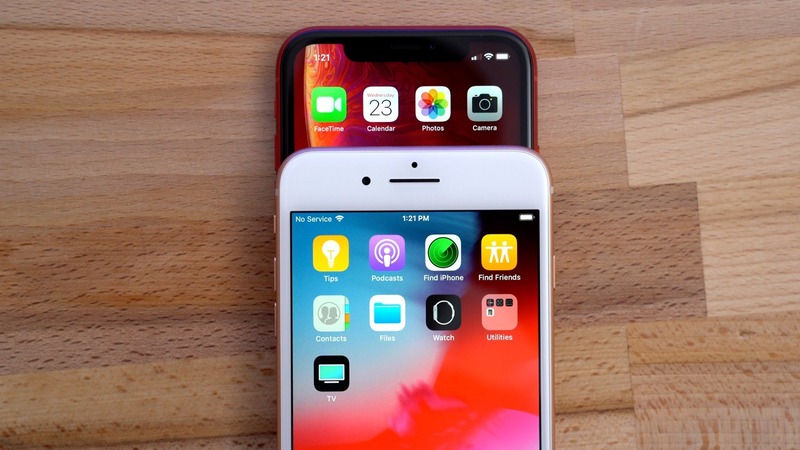 Verizon Wireless: Buy an iPhone XR and save up to $300 with a qualifying trade.